I will work with you to develop an approach based on your needs, be it Buying or Selling a home. Benefit of my 20+ years of Real Estate experience, negotiating skills and excellent follow up and advocacy. I have spent my professional years establishing relationships with top lenders, escrow companies, building inspectors, appraisers and many others who insure a smooth transaction for Buyers and Sellers. 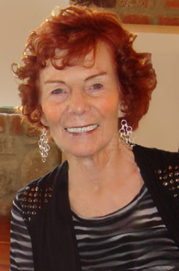 Vast knowledge of the area, having lived here since 1959 and being involved in numerous community activities.